Megan grew up making art in the mountains of North Carolina. After studying at the University of North Carolina at Greensboro and Yeditepe Üniversitesi in Turkey, she earned her BFA with a concentration in Design in 2008. 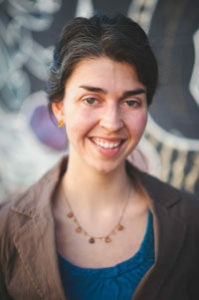 She currently lives in Fort Collins working as a web designer and is a member of the printmaking co-op Mad Deer Press. Megan enjoys making narrative prints inspired by Appalachian folklore, Medieval art, and good ol’ fashioned animal skulls.